A Netflix membership plan provides immediate access to thousands of movies and TV shows that can be streamed on any internet-connected device that offers the Netflix app. Compatible devices include smart TVs, game consoles, streaming players, mobile phones, and tablets. Netflix can also be streamed to your computer. Many of the movies and shows that Netflix streams are ones produced by other studios. After a movie's theater release, it makes its way through a period of rental availability on physical DVD and Blu-ray disks from vendors like Red Box, or through streaming from iTunes, Vudu, and other online movie rental services. Eventually, it finds a home on Netflix, Hulu, and Amazon Prime Video where subscribers can watch the movie without an additional rental fee. Netflix announces new and upcoming content on its website. The task of keeping up with the movies or TV shows that are currently accessible on a streaming service like Netflix is also taken up by websites, like JustWatch.com and Whats-on-Netflix.com, and even mobile apps (JustWatch also has iOS app and Android app versions). Each month, these websites and apps list current new content, as well as what's coming to Netflix the following month, or in the near future. If you want to find another movie, search these websites and apps for Netflix content. Even though Netflix announces most of what is coming soon on the site, the announcements are not comprehensive, and there are often surprise releases. Sites and apps help keep up with those, too. Most have a list of content that is leaving Netflix. Movies and TV shows will often disappear from Netflix after a period of time when the license to stream them expires. There are websites that keep up with what content is disappearing from Netflix each month, such as whats-on-netflix.com, as well as news sites like Vulture.com. Where Netflix has established itself to be much more than a simple repository streaming service for movies and television shows produced by other studios is in its quickly growing library of originally produced content. Netflix has studios and creates a wide range of its own Netflix-branded movies and TV shows, many of which are highly regarded by both critics and audiences. Drama series: Daredevil, Bloodline, Hemlock Grove, House of Cards, Jessica Jones, Orange is the New Black, Stranger Things, Marvel's Luke Cage, and others. Documentaries: Keith Richards: Under the Influence, Making a Murderer, Mission Blue, Chelsea Does, Cooked, Chef's Table, E-Team, and others. Anime: Hugely popular in the West, anime came to Netflix in 2016. Anime series include Aggretsuko, Glitter Force, Fundamental Alchemist: Brotherhood, One-Punch Man, Death Note, The Seven Deadly Sins, Magi: The Adventures of Sinbad, Devilman Crybaby, Knights of Sidonia, and Kuromukuro. Comedy series: Although Netflix offers plenty of comedy shows, it also produces its own. Netflix original comedy shows include Fuller House, Grace and Frankie, The Ranch, Atypical, The Good Cop, Santa Clarita Diet, Unbreakable Kimmy Schmidt, and others. Kids series: Netflix has a dedicated kids area that has lots of original programming. The service has partnered with Dreamworks to develop even more original children's series. Current titles include Trolls, Care Bears and Cousins, Boss Baby, Dinotrux, H2O: Mermaid Adventures, Inspector Gadget, Alexa & Katie, Free Rein, Popples, Project Mc2, Richie Rich, and others. Movies: In 2015, Netflix began producing original movies and picking up international streaming rights for movies. The availability of studio movies can change, but Netflix Original movies are plentiful and always available, such as The Highwaymen, Bird Box, Mudbound, Roma, and Okja. Stand-Up comedy: Netflix produces lots of stand-up comedies. Some of the programs include John Leguizamo's Latin History for Morons, Ron White: If You Quit Listening, I'll Shut Up, Adam Sandler: 100% Fresh, Jeff Dunham: Relative Disaster, Joe Rogan: Strange Time, Hasan Minhaj: Homecoming King, Dave Chappelle: Equanimity & The Bird Revelation, Kevin Hart: What Now? and others. Getting Netflix is not difficult. You'll need a high-speed internet connection. According to Netflix, the minimum required connection speed is 0.5 megabits per second, but you may want a faster connection for better video quality, especially when you stream high-definition (HD) and ultra-high definition (UHD) content. You'll also need something to view it on, such as a computer at a minimum, or a mobile device like a smartphone or tablet. There are also streaming media devices as well, which include Apple TV, Roku, Amazon Fire TV, smart TVs, and DVD and Blu-ray players with built-in internet capabilities. 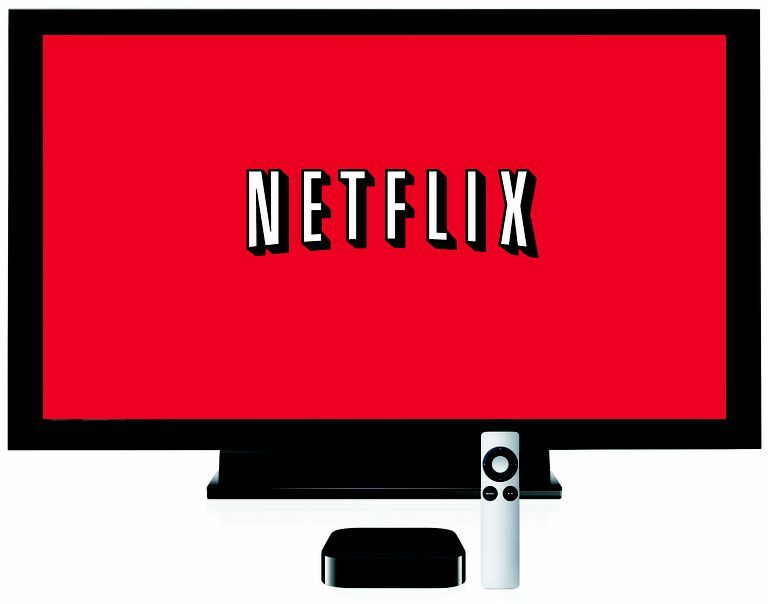 Even many gaming consoles like Xbox One and PlayStation 4 offer Netflix apps. Finally, you'll also need a Netflix subscription. Netflix offers three plans: Basic, Standard, and Premium. All three allow you to stream unlimited movies and TV shows on your laptop, TV, and other devices. Use your Netflix account to stream to a limited number of screens simultaneously. With the Basic plan, you can view on one screen at a time, the Standard plan on two screens, and the Premium plan on four screens at once. HD is available only on the Standard and Premium plans. Ultra HD is available only with the Premium plan. Is Hulu Better Than Netflix? Is Vudu Worth Your Time and Money? Is it Better to Stream or Download Media Files? What Types of Connections Do Blu-ray Disc Players Have?